When Civilization VI was first confirmed for Nintendo Switch last September, turn-based strategy fans were instantly excited at the prospect of taking the series on the go. As it turns out, it would appear that the game has performed very nicely indeed as a result. The game launched on the platform in November to high praise - we said that it's a "brilliant introduction" to the series on Switch and just as addictive as ever in our review - sitting proudly amongst the very best third-party recommendations for the console. As reported by GamesIndustry.biz, publisher Take-Two Interactive has revealed that the Switch version "significantly exceeded expectations" in terms of sales. The company actually published four games to Switch in the final four months of 2018 - Civilization VI, NBA 2K19, NBA 2K Playgrounds 2, and Carnival Games. CEO, Strauss Zelnick, has said that Take-Two is excited about continuing this support for the console going forward. "We felt good about the platform and we put the titles on Switch that we felt were going to perform well. We are excited about continuing to support the Switch for the right kind of properties." The unprecedented success of Civilization VI, as well as that of last year's mega-hit Red Dead Redemption 2, has seen Take-Two raise its revenue expectations for the current financial year from the $2.55 to $2.65 billion range to between $2.66 and $2.71 billion. Did you buy a copy of Civilization VI? Would you like to see Take-Two Interactive continue its support of Switch? Let us know in the comments. GTA next please, thank you. So is 2K going to bring over Borderlands? Or classic games from Rockstar like San Andreas, GTA5, Bully, RDR1, or other ones? I hope so. Wow, very pleasantly surprised to hear that as it didn't seem to have much buzz or do anything on the charts. It's on the (long) list of games I want to pick up so fingers crossed it encourages developers to bring more titles to Switch. Give us Bioshock and then we can talk! Red Dead Redemption 2 please. if not i'll just pick it up for PS4. Borderlands games would be nice too. I can’t get into it. I’m glad it did well though. I've really enjoyed my time with Civ VI. Glad to hear it's doing well. Civ VI was a day one purchase for me. Great port of a great game! I hope that this leads to genuine support, ala GTA. I'm realistic enough to know that RDR2 would be impossible (I'm currently playing it on PS4; beautiful game), but a port of RDR1 and GTA IV or V would be doable. CIV6 worked great on Switch. But the Fonts were way to small on handheld. After a day at the office it was painful to deal with it. Had to trade it in. Hopefully next time they look into fixing that - give it another try. Another game that would do great with Cross-Progression Switch/PC. [...] the Switch for the right kind of properties. This seems though like a huge cave-at. It reads more along the line of "[...] as long as it's not too demanding to port the title, we are going to do just that. So please don't expect us to go full Panic Button on this." Looks like devs overall is satisfied with Switch sells, and it looks like anything can sell on it. I'm surprised Civ 6 sold good as it had a silent release. As for GTA 5. I bet it won't come to Switch before the 64.GB flash cards is ready. I also think Borderlands collection will come to Switch on a 64.GB card. 32.GB is too small for several games. That's very nice. I really hope they release Bioshock: The Collection for the Switch, I'd buy that in a heartbeat. Also, I personally don't have much interest in it, but I still have no idea why GTA V for the Switch isn't a thing yet. Seems like easy money for me. Good news, and well deserved. Absolutely excellent conversion. Shows again that well targeted third party games can do well on the Switch. This was a great shout for a portable, being a huge time sink to put alongside Diablo, Skyrim, Monster Hunter etc. As I said at the time of release when a couple of people were scoffing at it failing to break the charts, Civilisation was never going to do that. It’s a turn based strategy game released on Nintendo where it doesn’t have much of a history at the busiest time of year. It seems the publishers expectations were much more reasonable and as a result they’re pleased. I head a rumour GTA V has been looked at, but is held back by the cost of the bigger cartridges along with the challenge of the conversion itself. "for the right kind of properties"
It would be nice to get Rise & Fall for Switch. If it sold as well as claimed, think it would be an easy choice. Don’t see the problem with that. Switch isn’t the same as the PS4, so it isn’t going to get all the same games, and doesn’t need to. However the right games can do well. I haven't played CIV6 that much, but I really did enjoy my one full game, so much so that I went and bought the Steam version with all the expansions, there's a new one coming next week so I'll be returning to that then. Really hoping the expansions eventually arrive on the Switch as well, it was surprisingly solid for a type of game that I assumed would be borderline unplayable with a controller. @electrolite77 No it does not, but it's hedging the support to the extreme, especially in the wake of what Panic Button has achieved with titles of other companies and people want to see more of Take-Two's portfolio on the Switch. Of course they’re hedging. No matter who the developer is, some games simply aren’t going to run on Switch. No point in them saying anything other than that. Put GTA V on the Switch already. If GTA V comes on the Switch I will buy a Switch in a heartbeat. I'm currently already waiting for more games and revision updates to buy a Switch, but if GTA makes it on the system I'll buy a Switch the day GTA V comes out for it along with Zelda Breath Of The Wild. @electrolite77 Sure, but it would be refreshing to see a company to commit much more to the Switch, other than giving it praise and than hedging their answer as to give minimal effort to gain much more. Sure it's the way the world works, but not completely enticing. I was one of those giddy turn-based strat fans and I got my copy on launch day. Lovin' it! Bought it, love it, hoping for the DLC to come to Switch. Great! Now give us Borderlands please! If not XCOM 2, I'd settle for the complete XCOM 1. That's the only game I already bought 3 times on different platforms and would gladly buy it on another. Sweet! Can we please have the Civ 6 DLC now? I know it lacked multiplayer, which is a big deal for some people, but otherwise this port was great. Everything flowed really well, and it was easy to navigate the menus. I easily spent 100 hours so far playing it. I really enjoyed this game when I got it. In fact after a week I picked up a second copy so me and the missus could play co-op at home. Its one of the few games she's happy to play with me. I really hope this means GTA V and the Bioshock Collection will come to the system in the future! Bioshock Collection next, please ! Aren’t these guys the ones that released WWE 2k18 and then abandoned the switch after blind squirrel botched the port???? I bought this game for the Switch, and I enjoy it a lot. Touting positive sales figures is great and all, but I really, REALLY wish they'd taken the time to address the questions on people's minds who voted with their wallets and supported Civ VI on the Switch. Will there be any future support for the game such as the Rise & Fall or Gathering Storm expansions? Will (or can) hotseat local multiplayer ever be added? Overall it's a superb port, but frankly it feels rather...vanilla right now compared to the Steam version. Answering questions like this and communicating their long-term intentions and level of commitment is absolutely critical for a publisher whether they realize it or not, especially when it comes to test bed IPs whose release is meant to gauge long-term consumer interest in a particular series/genre. 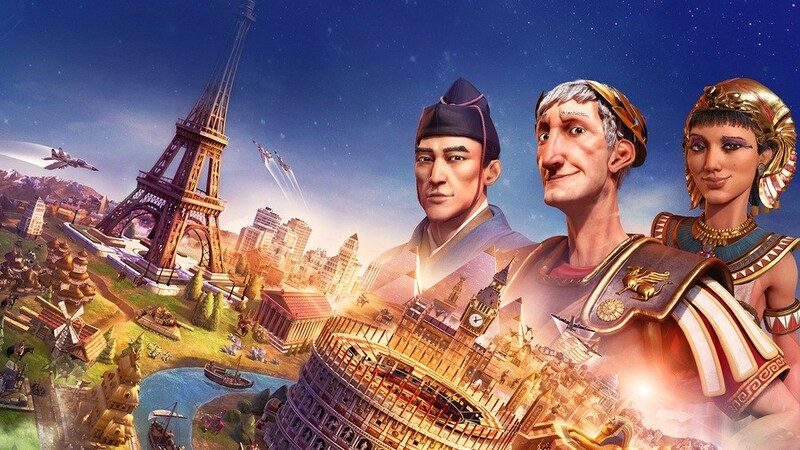 I'm certain the hope of adding the expansions and more features down the line played at least some part in many folks' decision to take the monetary risk to support Civ VI on Switch. Whether Firaxis/Take-Two are planning to offer further support for the Switch version or have already moved on from it is something they should be open about, otherwise those same consumers may be reluctant to do the same for future titles. It’s a solid console port, though I would’ve played it on PC if my PC was good enough. Got it for xmas. Only played 3 games because they take a looooong time. I'd play more but my wife was like: omg haven't you won that culture victory yet?! 😂. I'll get back into it eventually, but its a fun stroll down memory lane of when I used to play civ2 on my windows 98 pentium 2 computer. I love how half of the companies are "Even though we sold a BILLION copies of this game, it's underperformed! Expect even more monetization in the future." and the other half are "Wow we didn't expect so many people to buy our game, thanks so much!!". Not bought Civ VI yet. But it's on my to do list. Great game. I've logged more hours in this game than any other on switch. I catch myself thinking about it when I'm at work. Things like "I will have to fight Spain soon if they keep going for religion" or "I could use a few more cities." Really hope the DLC comes to switch. DLC better be coming. 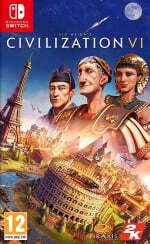 Civilization installments rise and fall (sorry, I had to) by their expansions, and if this sold as well as they say there are going to be a lot of people hoping for at least one of the expansions. The base game IS a lot of fun, though. take note EA. When you don't have unrealistic expectations, you can actually meet or exceed your estimates! @electrolite77 I can understand the cartridge size problem, but “challenge of the conversion” doesn’t wash. GTA V played fine on Xbox 360. I can’t see the Switch struggling to run it. It’s still going to take a fair old effort given the size of the game. The occasional chug in LA Noire (and BOTW) suggest an issue with open worlds. Don’t get me wrong I’d love to see it and I know it’s possible but yes, it’ll be a challenge. A surprisingly good console port. After all these years, developers have seemingly been able to come up with a winning formula for console controller controls. Glad to hear that it has done well for them. Also good to see they had realistic expectations for it, and not like EA's pie-in-the-sky numbers. The absence of GTA V is perplexing. The Switch could easily handle the game since it was a 360/PS3 title, and if you believe the rumours, there was a working Wii U port at one point. This leads me to wonder if they're having technical issues with porting it to the cartridge. That said, there is a laundry list of games 2K could bring to the system, now that they know they have a stable base to sell to. They’re expecting well over 2.5 billion dollars in revenue and they still destroyed Red Dead Online with pay to win micro transactions. These people are shameless. I really love the Switch version of Civ 6! I’m glad I got it and the DLC. I hope by more support that it means the gathering storm expansion will come to Switch too. @AlphaElite Well yes, Ideally I'd like to see a broad range of different genres. Was a crying shame the day certain types of games starting migrating en masse to Sony. Nintendo consoles were once for everyone. They should be again. I really like Civ 6 on the Switch but even more than the DLCs I think it could use a patch. The game crashes pretty frequently and doesn't seem to be optimized for games with more civs/larger maps than the default settings. A graphics settings option would be amazing since I'd gladly turn off some idle animations in exchange for the game running smoothly and not crashing. Next DLC for CivVI would be nice. And also want Borderlands and Bioshock. Please. I bought a physical copy through pre-order. Publishing the previous Civs on the Switch! I'm sure V would sell well in itself. The rest could come in a compilation together (like it did on PC a long time ago), maybe even along with the SNES version!